Microfibre polyester. 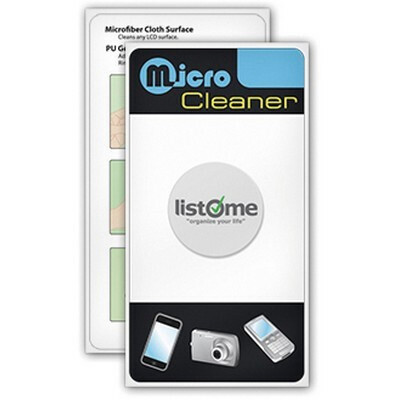 Microfibre screen cleaner for electronic devices. Sticks to the back of your phone/PDA/MP3 player and can be used time and time again making your message loud and clear. Adhesive backing that doesnt leave residue. Adhesive quality restored by rinsing with water. Reusable making it less wasteful than other cleaning products. Comes with stock card, custom card available as optional. White. Product Size: Cleaner: 25D mm Card: 96Hx53W mm. Print. Size: Cleaner: 25D mm. Price includes : Print Up to 1 colour. Setup is additional. Please contact your sales representative for a final quote.